Nigeria client 50TPD cassava starch processing plant project start installation Congratulation Nigeria client 50TPD full automatic cassava starch processing plant project start installation. 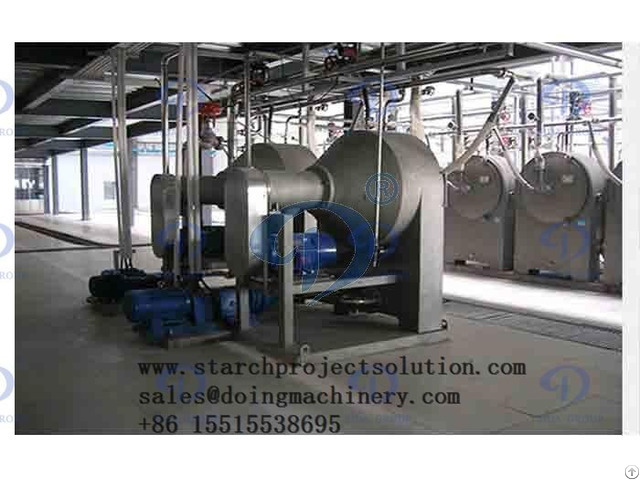 Our Nigeria client make ordered our complete 50TPD cassava starchprocessing plant in 2016.The whole set equipments of cassava starch processing plant spent more than two month for manufacturing. After all machine of cassava starch processing plant finshed manufactured, all the machines were shipped to Lagos, Nigeria successfully . After the complete machine of cassva starch processing plant all arrived in the Nigeria client cassava starch project site, we send our engineers to Nigeria to help Nigeria client for installation the cassava starch processing plant .